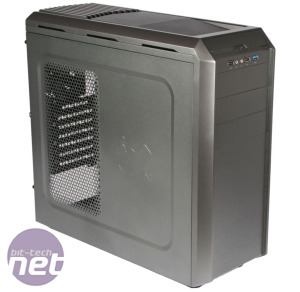 We've looked at some great cases in the budget market in recent months, including Fractal's Core 3000 and the Xigmatek Midgard II - our current favourite - which now retails for just under £60. 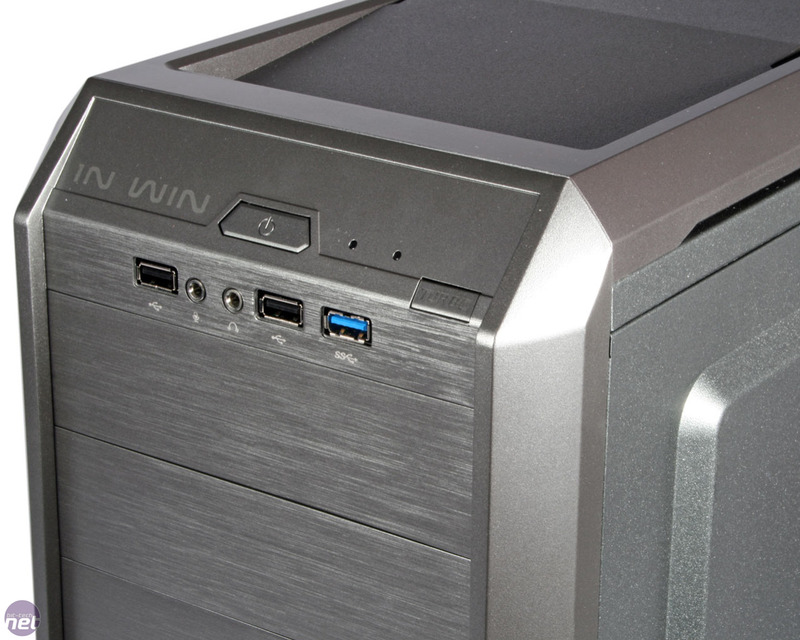 In-Win is also no stranger to the cheaper side of things when it comes to computer cases, so it's no surprise to see it launch its latest G7 chassis with a £55 price tag. In-Win's brash case designs are often met with criticism, perhaps rightly so, but for the G7 it's toned down its usual aesthetic considerably, opting for a design that could almost be called minimalist. The colour scheme, at least on our metallic grey sample, is a little odd, however. The main chassis is a darker shade than the two steel side panels, while the plastic roof and front sections are shaded in a slightly different tone too. The brushed aluminium effect on the front is relatively convincing, but also serves to add to the inconsistency of the exterior look. 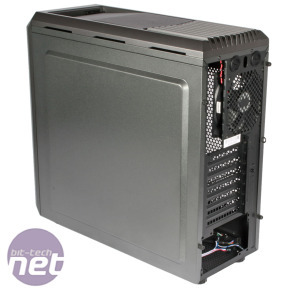 With the packaging removed, the case itself is very light, which isn't out of the ordinary for a small, budget chassis. The two side panels are firmly attached to the case, and don't bend under pressure, but pressing on the plastic roof and front panels results in a creaking sound, so there's definitely room for improvement there. The plastic feet give the case some clearance but nothing in the way of grip; we had more fun than we care to admit sliding the case around the worktop. 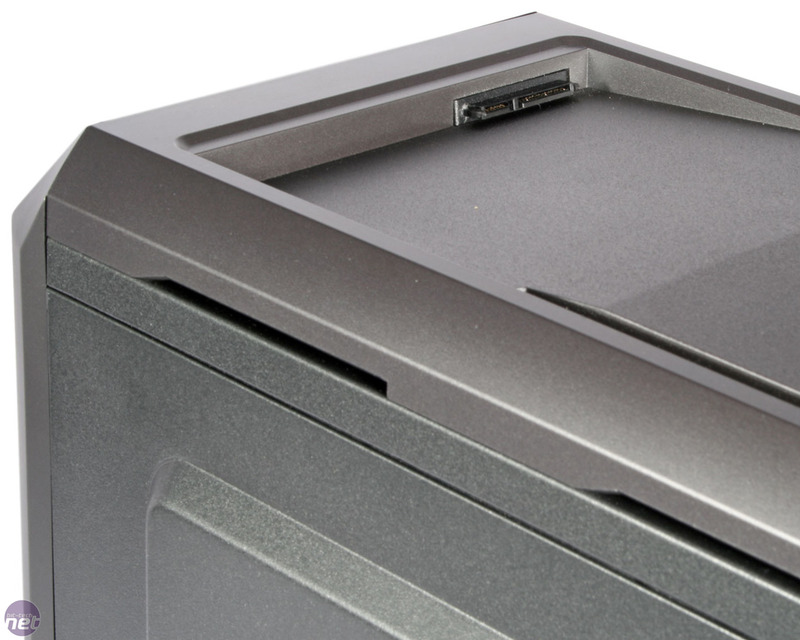 It's good to see the inclusion of a USB 3.0 port on a budget chassis, and the remaining front panel connections are what you'd expect. There's no reset button, however, but the power button is secure and satisfying to press. There's also a secondary Turbo button, which is used to toggle fans between high and low speed (the writing on the button glows red when activated). This might not be as handy as the variable speed controller of the Midgard II, but it does have the advantage of being on the front of the case as opposed to a PCI expansion slot. Behind the front panel there's room below the three optical drive bays for a pair of 120mm fans, and the lower mount is filled by an intake fan with its own detachable dust filter. 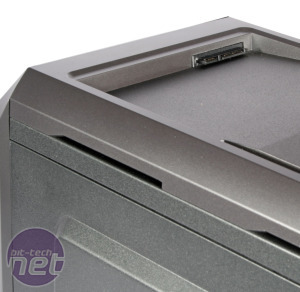 As the sides and front of the case's fascia are entirely solid however, any fans in these mounts can only draw air in through a small hole underneath them, which is likely going to limit the available airflow substantially. Moving to the roof, the area at the back above the CPU is ventilated and there are clips below to mount a 120mm fan. However, there is no filter material available so it's not a mounting point that could double as an intake. The sloped front section isn't just a useful place to rest a charging phone, as it also includes a hot-swap connector for both 2.5-inch and 3.5-inch drives. While this is something the Midgard II can also lay claim to, it's still great to see a useful feature such as this in a case costing less than many cases which lack it. The right side panel is extruded to provide space for improved cable management, but oddly the left one is slightly indented, which will reduce the available room for CPU coolers. On the plus side, this panel also has a large meshed section, so the GPU area should be ventilated well. 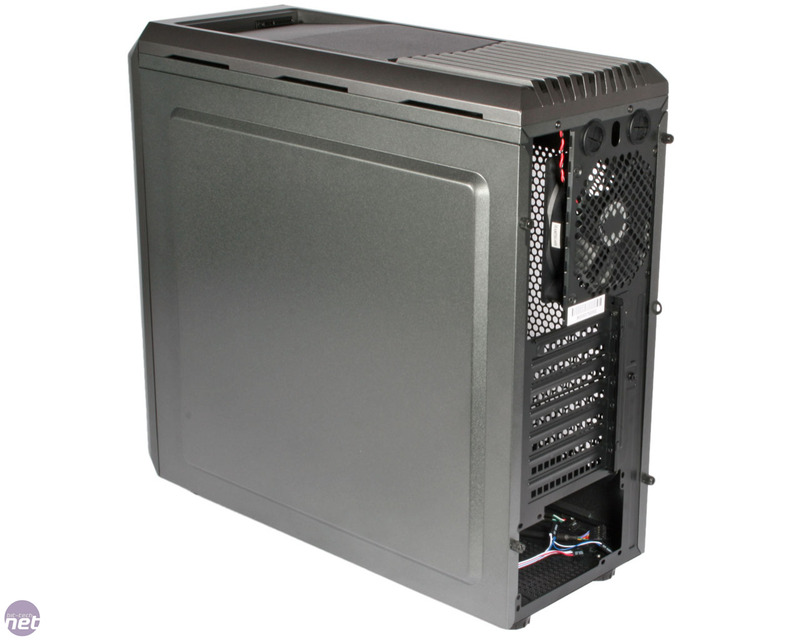 A pair of 120mm fans can be mounted to this area, but no filters are provided should you take advantage of this. 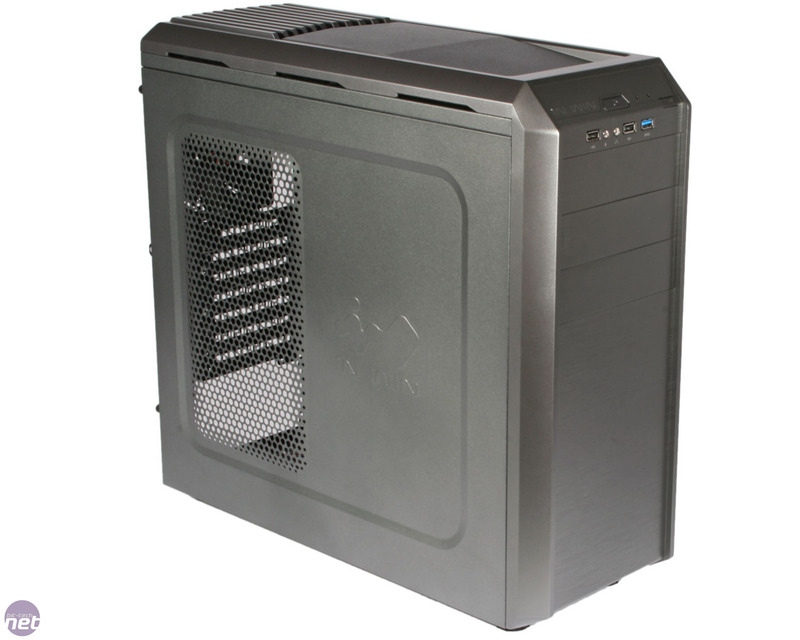 The G7's second case fan is its 120mm exhaust fan mounted at the top of the back. Above this are the two tubing holes for water-cooling set-ups, the grommets for which are reassuringly secure. 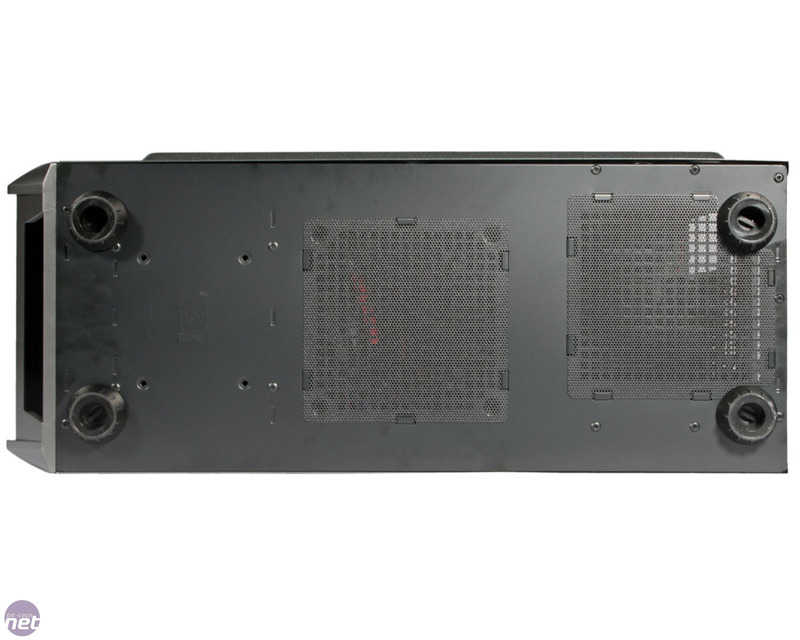 The last fan mount is found on the bottom of the case, and again takes 120mm models. This mount and the PSU intake area are protected by dust filtering material, but as with the Midgard II it's little more than a thin, flexible sheet that can be tricky and fiddly to replace. 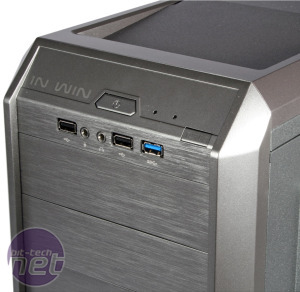 We take a look at In Win's stunning new PC case made from mirrored glass.